The winner of the George W. Bush Presidential Center’s Warrior Open, hosted from October 1-2, 2014 at Las Colinas Country Club near Dallas, will be invited to play in the 2015 American Century Championship, a celebrity golf tournament held by American Century Investments at the Edgewood Tahoe Golf Course July 17-19, 2015. We owe a debt of gratitude to the U.S. service members who volunteer to serve and are willing to make the ultimate sacrifice to defend our country and protect the many liberties we cherish. Global asset management firm American Century Investments announced today that the winner of the George W. Bush Presidential Center’s Warrior Open, hosted from October 1-2, 2014 at Las Colinas Country Club near Dallas, will be invited to play in the 2015 American Century Championship, a celebrity golf tournament held by American Century Investments at the Edgewood Tahoe Golf Course and broadcast on NBC and NBC Sports Network. As part of the Warrior Open prize package, the Champion Cup winner will compete July 17-19, 2015 against more than 80 celebrities and athletes at the South Lake Tahoe tournament for a portion of the $600,000 American Century Championship prize purse. Now in its fourth year, the Warrior Open is a competitive 36-hole golf tournament, including an 18-hole Pro-Amateur event, featuring members of the U.S. Armed Forces who served their country honorably and have been severely wounded since Sept. 11, 2001. The tournament is a program of the George W. Bush Institute’s Military Service Initiative. Broadcast on NBC since 1990, the American Century Championship is network television’s longest running celebrity golf tournament. Past participants include sports heroes, television and movie stars and top comedians. Charles Barkley, Michael Jordan, Olympic Gold Medalist Michael Phelps, Ray Romano, Aaron Rodgers, Larry the Cable Guy, Kevin Nealon, John Elway and Jerry Rice are among those who have competed in the 54-hole, three-day tournament. Former NFL quarterback Mark Rypien is the 2014 defending champion. American Century’s decision to allow future Warrior Open winners to play in the annual celebrity tournament was prompted by the appearance of retired U.S. Army Cpl. Chad Pfeifer at the 2014 American Century Championship. A three-time Warrior Open winner, Pfeifer’s participation in the tournament was the centerpiece of a special tribute to U.S. Armed Forces in recognition of the American Century Championship’s 25th anniversary. The Iraq war veteran and amputee inspired tournament fans with his determination and impressive golf skills. Pfeifer was on top of the leaderboard after the first day and ultimately finished in fifth place, earning him $20,000. Touched by Pfeifer’s performance, American Century donated $25,000 to Feherty’s Troops First Foundation, a charity selected by Pfeifer. The Warrior Open prize package includes paid roundtrip airfare for two to Lake Tahoe, as well as hotel accommodations and access to evening dinners and entertainment from July 14-19. While in Tahoe, the Champion Cup winner will be able to participate in practice rounds at the Edgewood Tahoe course, play in a Celebrity-Amateur Tournament on July 16 and compete for cash prizes in the televised American Century Championship July 17-19. The tournament’s top prize is $125,000 followed by $50,000 and $35,000 for second and third place finishers. The Bush Institute’s Military Service Initiative honors the service and sacrifice of post-9/11 veterans and military families by improving their well-being and unleashing their potential. Through research, resources, programs and Presidential recognition, the Military Service Initiative unites and empowers communities, military service organizations, businesses, universities and individual citizens to effectively support service members, veterans and their families. For more information about the Warrior Open, the George W. Bush Institute’s Military Service Initiative or the George W. Bush Presidential Center, please visit http://www.bushcenter.org or the Bush Center’s Facebook page. American Century Investments is a leading privately held investment management firm, committed to delivering superior investment performance and building long-term client relationships since its founding in 1958. 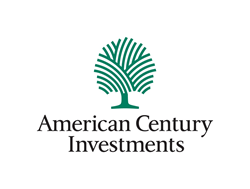 Serving investment professionals, institutions, corporations and individual investors, American Century Investments offers a variety of actively managed investment disciplines through an array of products including mutual funds, institutional separate accounts, commingled trusts and sub-advisory accounts. The company's 1,300 employees serve clients from offices in New York; London; Hong Kong; Mountain View, Calif.; and Kansas City, Mo. Jonathan S. Thomas is president and chief executive officer and Victor Zhang and David MacEwen serve as co-chief investment officers. Through its ownership structure, more than 40 percent of American Century Investments' profits support research to help find cures for diseases including cancer, diabetes and dementia. For more information about American Century, visit http://www.americancentury.com.